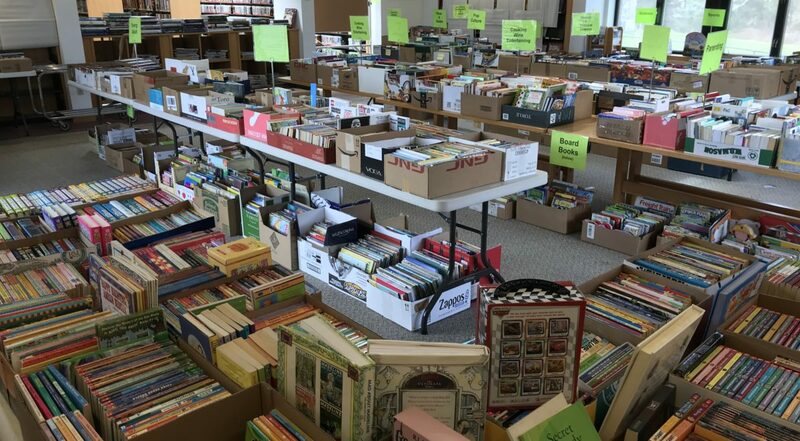 A brief photo review of the 2018 Used Book Sale from start to finish. This is what a single day of used book donations looks like! 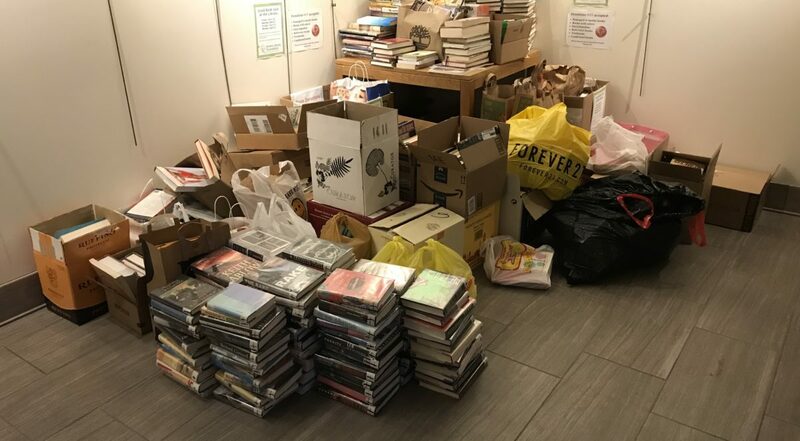 In all, the Library Foundation collected more than 23,000 used books, CDs and DVDs over four months in the run up to the 2018 Used Book Sale. 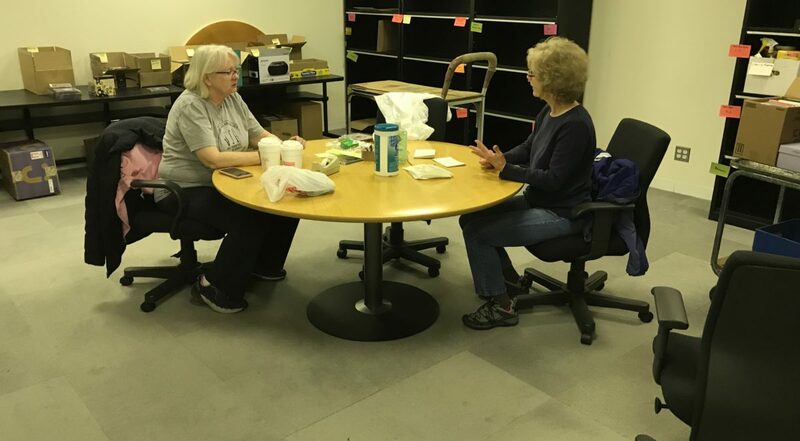 Book sale co-chairs, Mary Graham (left) and Jamie Hasl at work in the sorting room that was provided by Sebastian Capital. The former IBM building proved to be an excellent location to cull, organize and store books prior to the book sale. 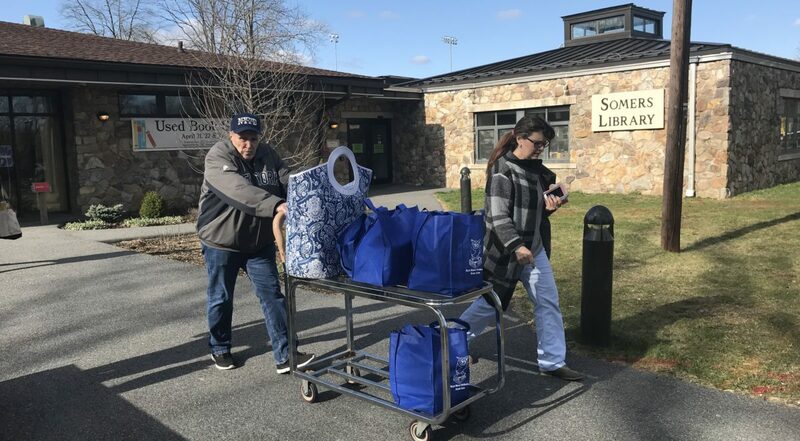 Thousands of children's books were culled, quality-inspected, sorted by genre and then boxed for later transport to the Somers Library, the site of the 2018 Used Book Sale. 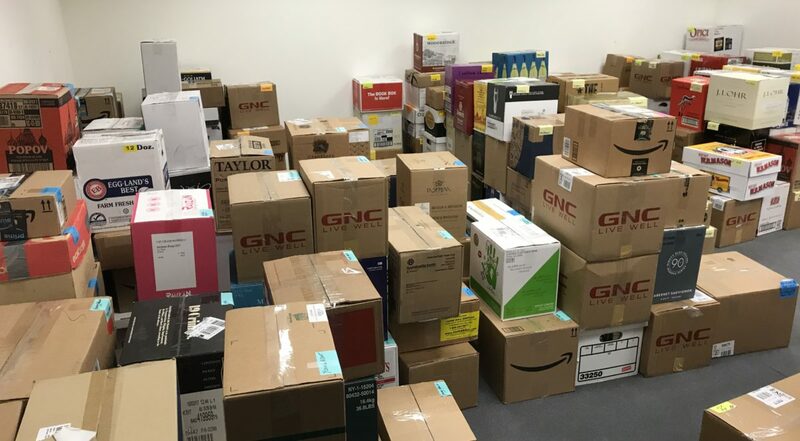 More than 23,000 used books, CDs and DVDs were individually inspected, sorted by genre and then boxed for transport prior to the 2018 Used Book Sale. 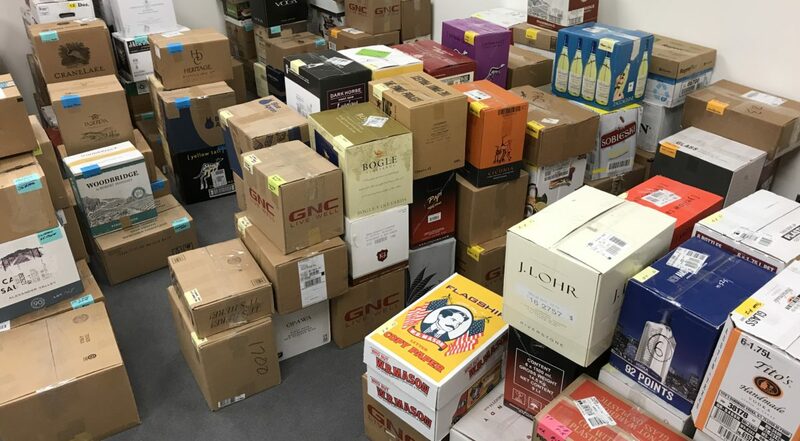 Collection and sorting was done over a four-month period at the former IBM Somers campus. Sebastian Capital provided work space and storage room. 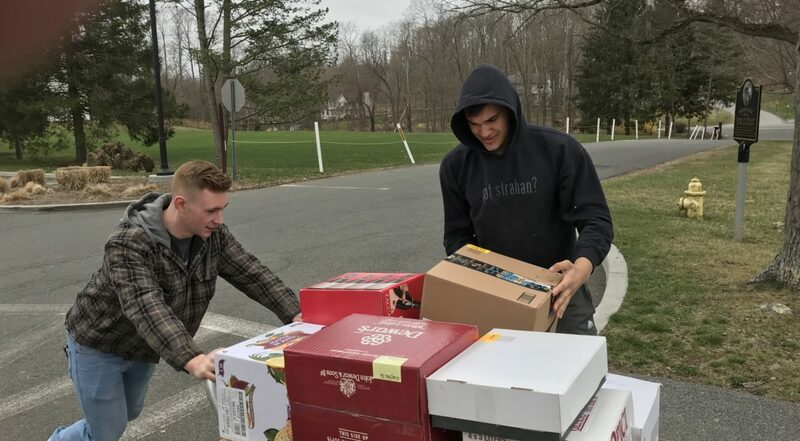 Transporting 450 boxes stuffed with used books, CDs and DVDs required some heavy lifting. 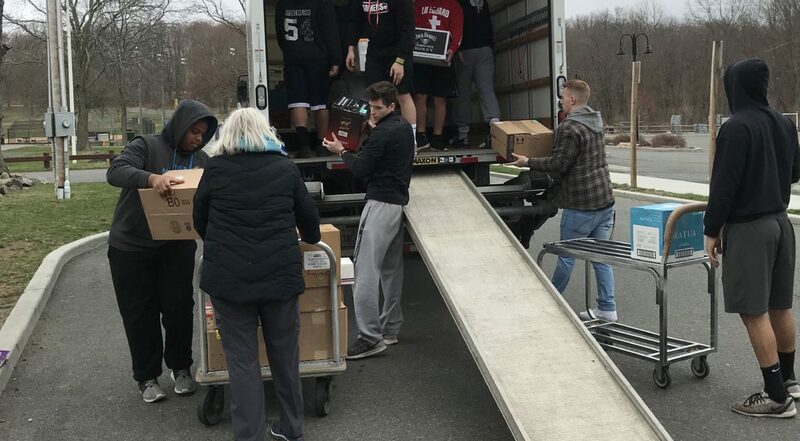 A 26-foot box truck and student athletes from Somers High School made the move relatively easy given the enormity of it all. Thanks to the football, basketball and baseball players that turned out to help. 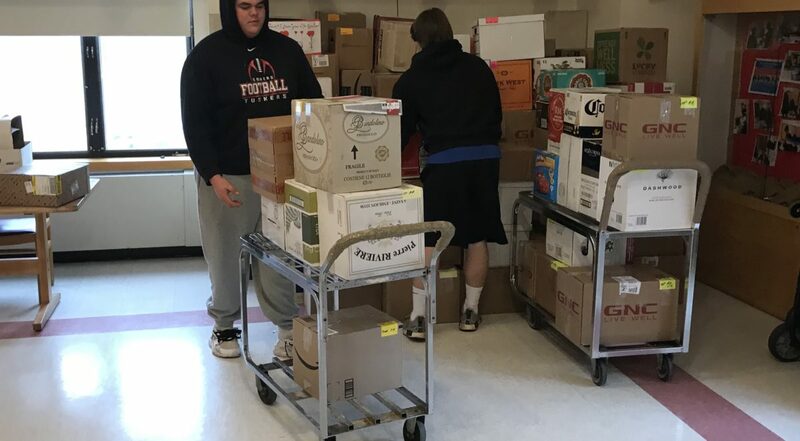 Somers High student athletes helping to move book sale materials into the library. 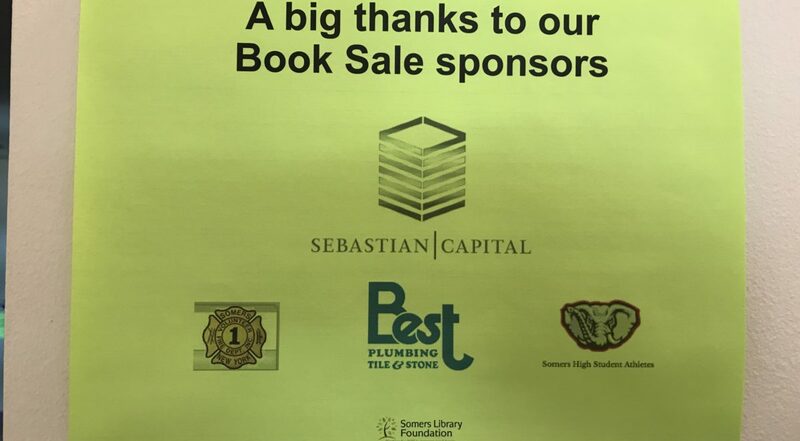 The book sale committee contacted Somers High School varsity football coach, Tony DeMatteo, to ask for help and did he ever come through. We learned that twelve varsity linemen can move mountains and many, many books. 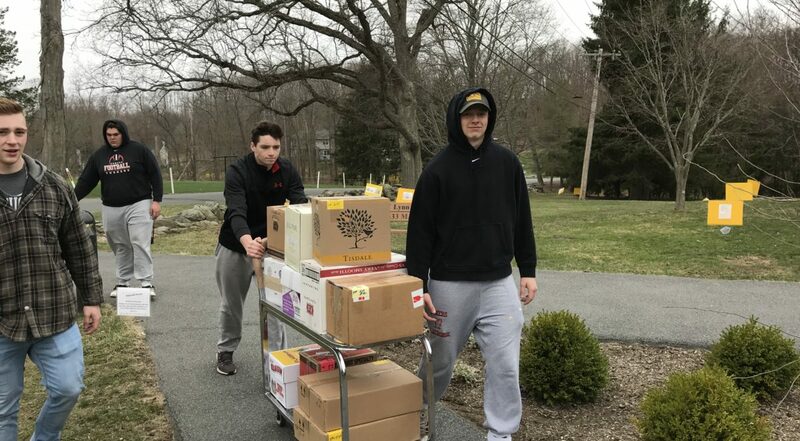 Varsity athletes from Somers High School help move book sale materials into the Somers Library from our nearby storage facility. The Used Book Sale required five days of onsite setup before everything was in place at the Library for the sale to begin. Shown here are volunteers setting up the adult fiction section in the Library's Program Room. The adult fiction section is ready for the sale to begin. The children's books and adult non-fiction selections are organized and ready for the sale to start. 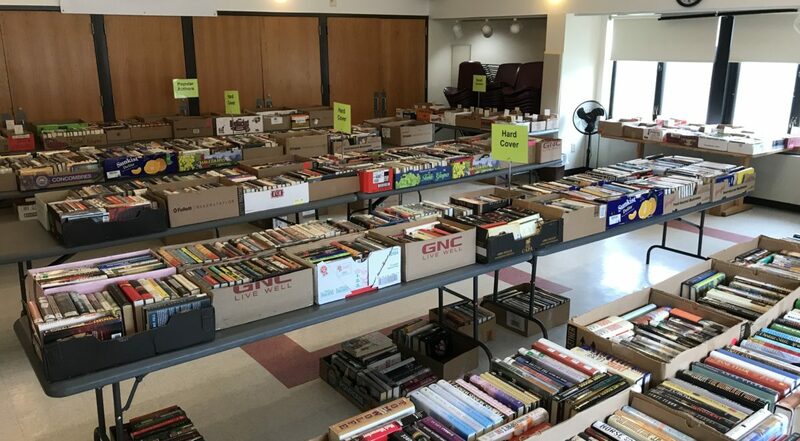 More than 40 genres of books were available at the 2018 Used Book Sale. 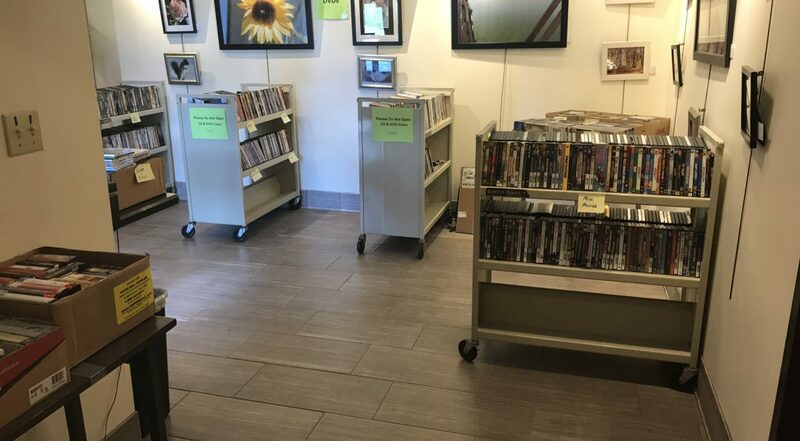 Thousands of music CDs and television & movie DVDs were individually inspected prior to the 2018 Used Book Sale. This was a popular section at the sale and was practically sold out by the end of the event. 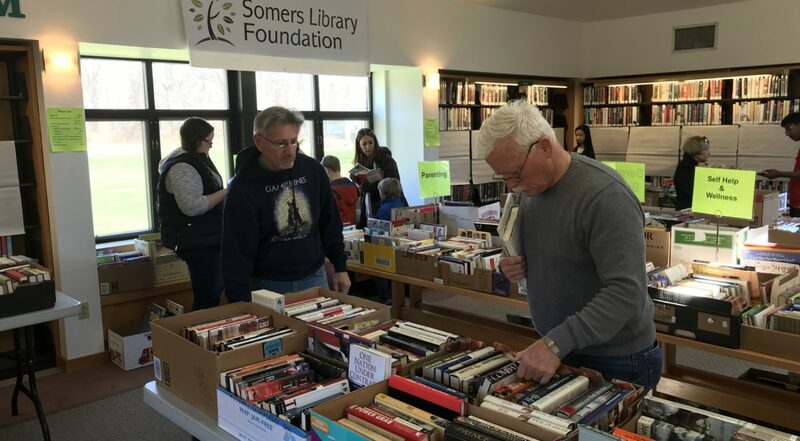 Our sponsors came through when we really needed them by providing the Library Foundation with work space, sale tables, labor and funds to produce one of the largest fundraising events for the library in many years. Open for business! Many families attended the book sale. Children spent time looking at the great selection of used children's books while mom and dad checked out the thousands of adult fiction and non-fiction books on sale. 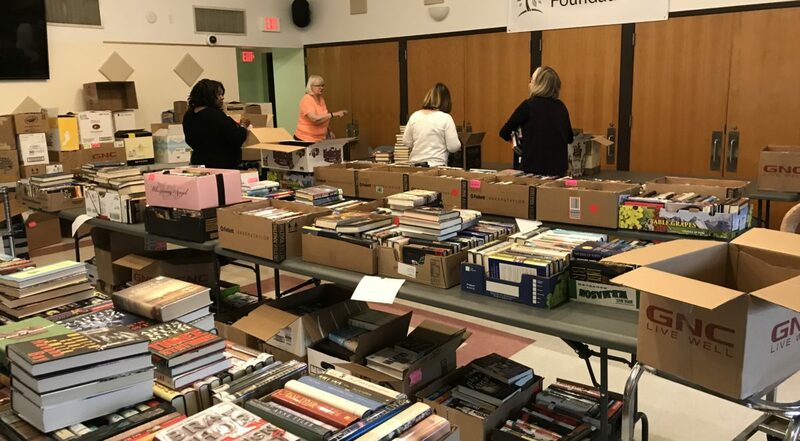 History, science and biography buffs loved the selection of used books available at the 2018 Used Book Sale. Al Alessy was one of dozens of book sale volunteers who worked hard to give shoppers a great buying experience. Here he is shown helping a shopper take her book sale purchases to her car. The checkout process was streamlined to reduce long waits and help people get quickly on their way. Great book sale volunteer teams also have great leaders. 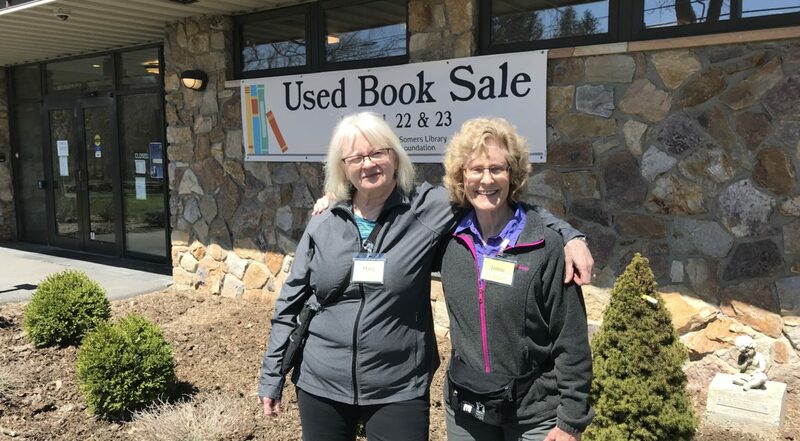 Mary Graham (left) and Jamie Hasl served as co-chairs for the 2018 Used Book Sale. 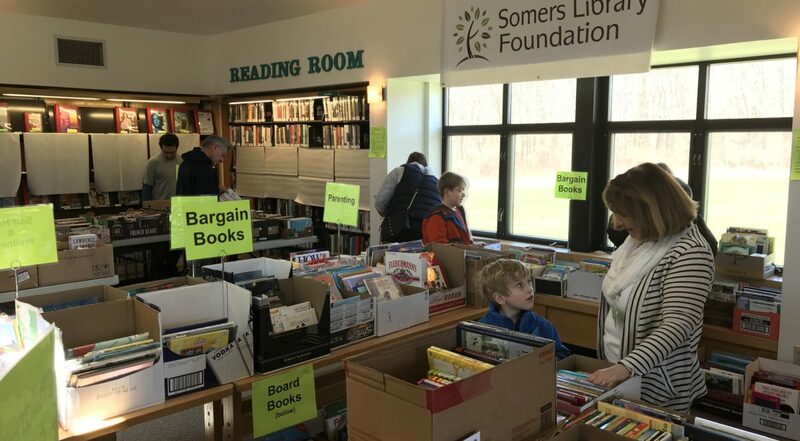 Both also serve on the board of directors for the Somers Library Foundation.